George H.W. 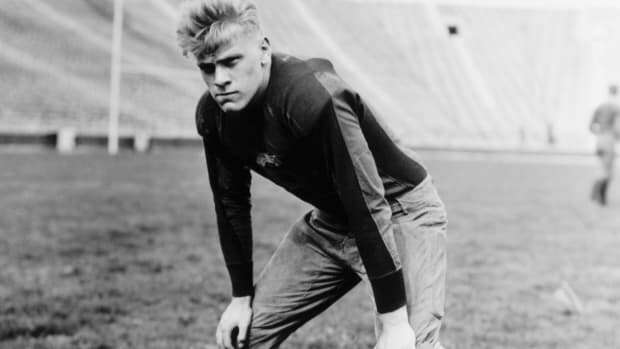 Bush was among the cadets and Gerald Ford served as a coach in the intense war-time training camp that featured giant wheels, heavy sand bags and oversized balls. They woke at 5 a.m., ate 5,000 calories a day, ran through chin-deep rivers, strapped sandbags to their backs and marched up and down steps. They even learned how to handle venomous snakes. They weren’t training for the latest obstacle course race or reality show. 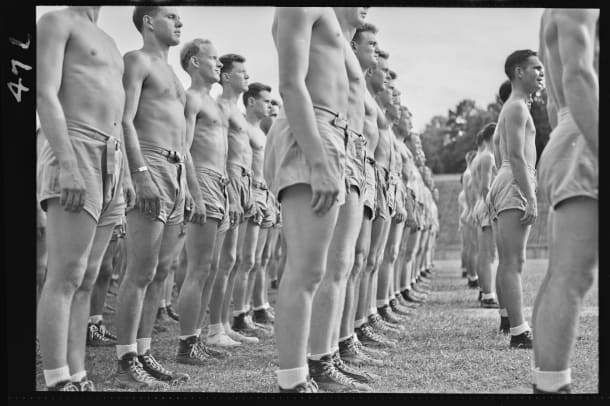 These were the thousands of men who enrolled in the Naval Aviation Cadet Training Program at the University of North Carolina-Chapel Hill. Among them were two future presidents: George H.W. 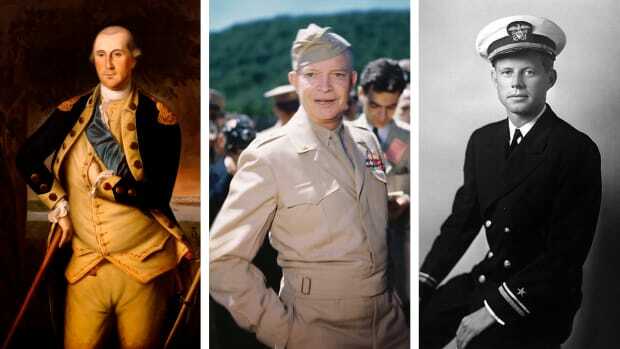 Bush, who enlisted the day after he turned 18 in 1942 and went on to become a pilot and Navy lieutenant and Gerald Ford, who served as a coach of swimming and other sports. Ronald Reagan also once visited as an entertainer. One of five such ground-training schools in the country, the cadets spent about six hours a day for three months in intense exercise. 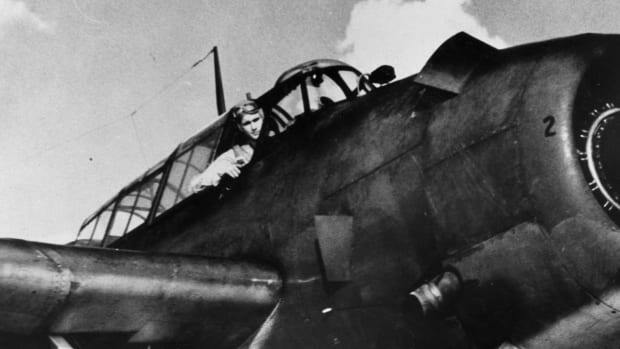 “Everyone had to be in supreme physical condition,” says Anne R. Keene, author of The Cloudbuster Nine: The Untold Story of Ted Williams and the Baseball Team that Helped Win World War II. Some of the cadets were athletic prodigies who lettered in multiple sports, she adds. 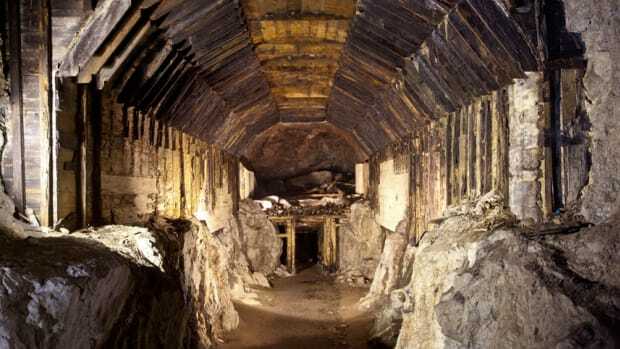 “On top of that, they had to practice military drill, marksmanship, avionics and other academic classes; as well as keep their individual quarters neat and tidy,” says WWII historian Donald W. Rominger, Jr.. 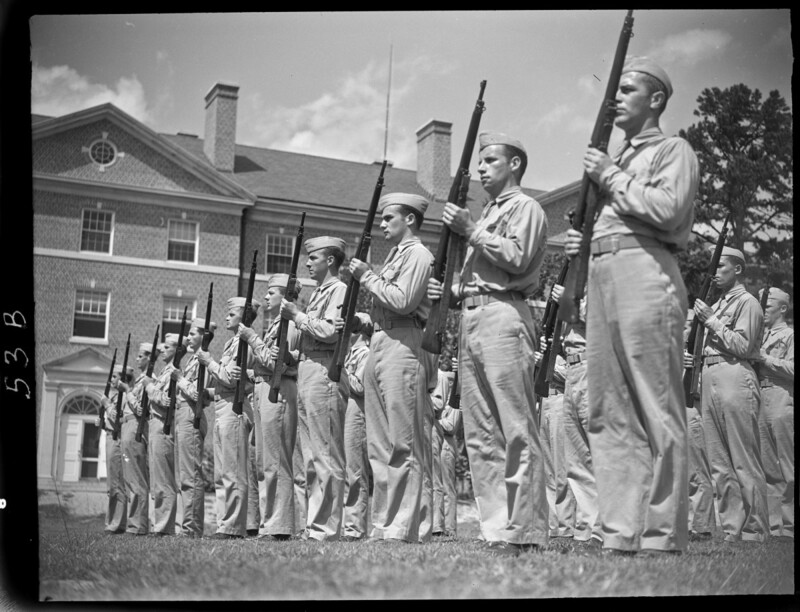 Indeed, it wasn’t only the campus of UNC-Chapel Hill that had been transformed to host the nation’s newest Navy Pre-Flight school, with dorms serving as barracks and new additions such as a canteen, a new pool, a gymnasium and an obstacle course. The chemistry department ramped up with extra war funding, and courses in Russian and Japanese were added to the language department. The cadets’ coursework included Morse code, navigation, meteorology, seamanship, physics, gunnery and psychology (if taken captive, they would need psychological skills), in addition to “the ability to kill a man twelve different ways with his bare hands." But the focus on the physical was necessary, Naval leaders thought, to match the opposition. 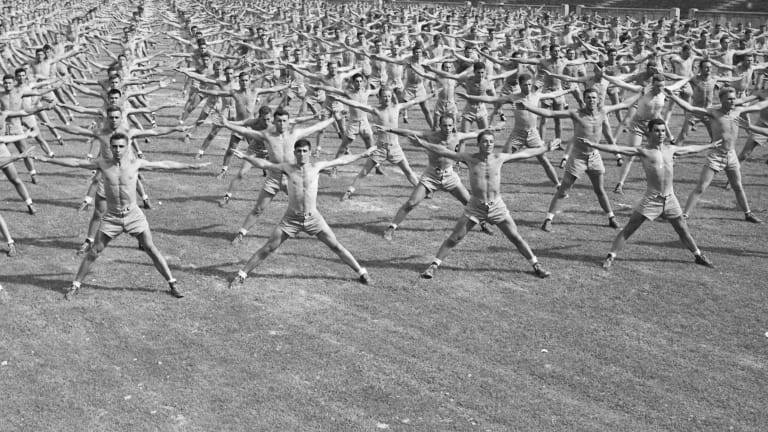 The proposed daily schedule consisted of early morning calisthenics or road work, followed by breakfast and a rotation between physical drills, military drills and academics. Afternoons were devoted to mandatory sports practice before supper and study. 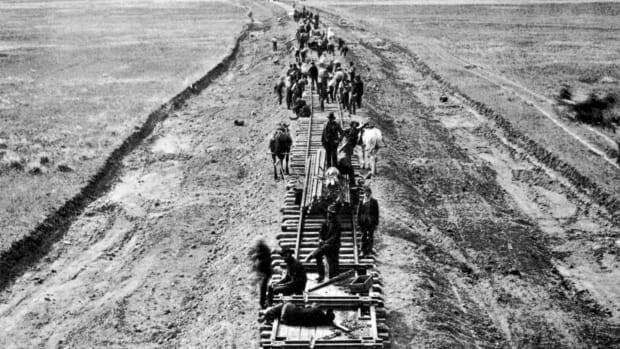 Still, the demands of the V-5 meant some were unable to complete the program and were transferred to other units. 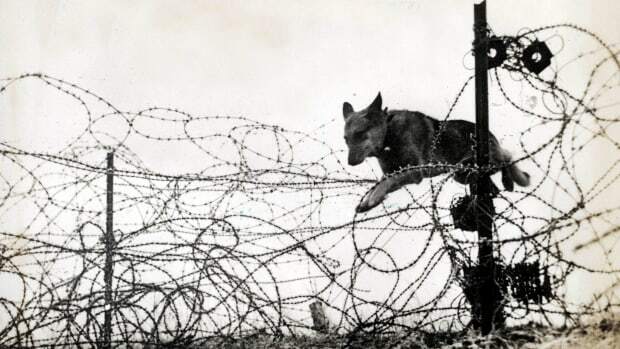 Some of the more physically grueling elements included overnight survival hikes; one such 14-mile outing led to the death of the mascot, a dog named Ensign Brown. The idea was to train cadets to survive crashes in jungles or islands. They were dropped in unknown locations in groups or pairs and forced to find their way out, using everything they’d learned about survival: what sorts of berries they could safely eat, how to get water from plants, how to navigate with the sun and stars, which snakes were venomous, how to create a fish hook and line. Even sports weren’t played as usual during peacetime. The aerowheel promoted balance and core strength. 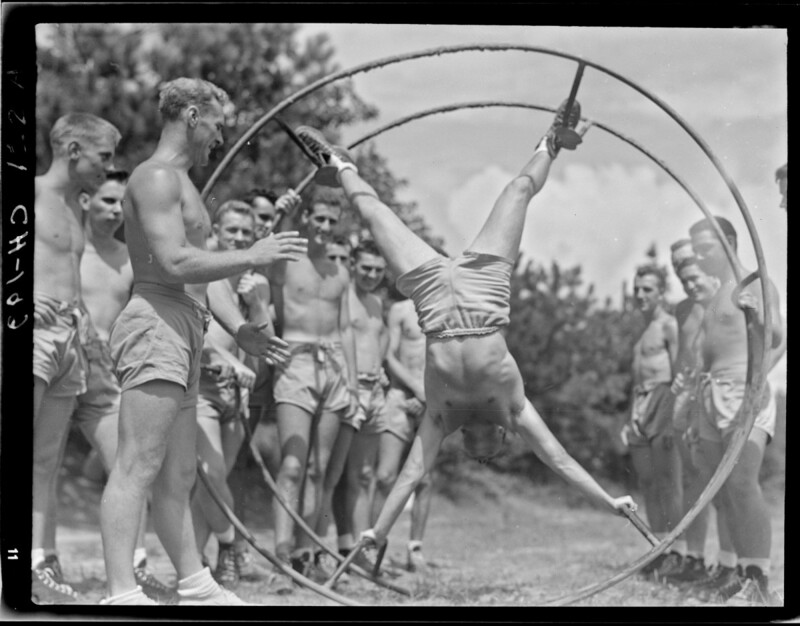 Besides traditional sports (which included a baseball team featuring some of the best players of the day, including Ted Williams), there were physical challenges such as an aerowheel, a giant wheel sometimes used in performing arts circuses that cadets strapped their feet into and rolled in to improve balance, coordination and core strength. Pushball involved a gigantic ball that took up the bed of a truck: it was placed in a field with 12 men on each side who pushed it, trying to be the first to get it across a line, similar to tug-of-war. Still, for many, swimming was the most physically challenging. At the time, many Americans—at least half of those who enlisted, Keene says—weren’t good swimmers. Yet swimming was considered one of the most essential skills to survive combat missions over the ocean. Eighty percent of pilots were expected to land on water during battle. So the cadets were required to swim a mile and dive 50 feet underwater. 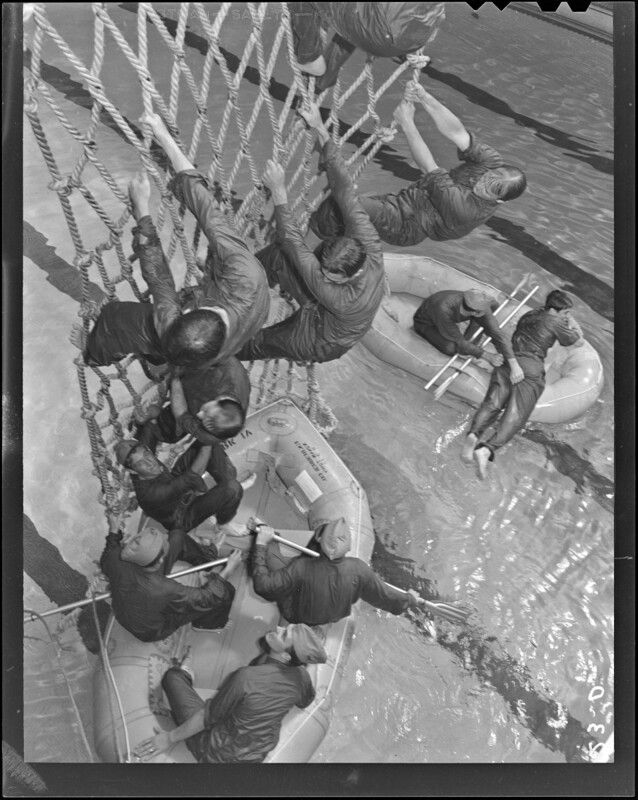 Training included obstacle courses and water training. Some practiced diving into pools lit by burning oil. And some practiced escaping from the cockpit of a submerged plane. At least one cadet drowned during training at one of the flight schools. Clearly, there was little time or freedom for socializing: Usually restricted to the “Navy area” of campus, cadets were allowed three outings a week when they could visit other parts of campus or go downtown: Wednesday afternoons, Saturday afternoons and nights and Sunday afternoons. But somehow, Bush found a free afternoon to spend with a special visitor. Which U.S. Presidents Were the Most Athletic?